Best animal picture : Two-year-old chimpanzee feeds milk to Aorn! 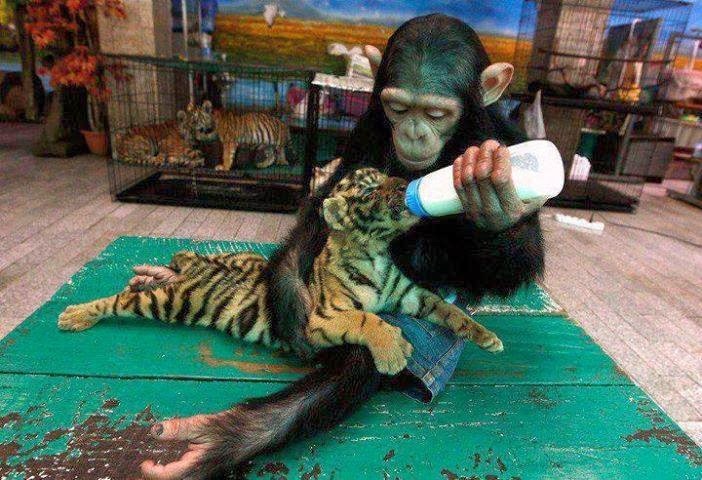 Two-year-old chimpanzee feeds milk to Aorn, a 60-day-old tiger cub. This picture had been rated as one of the Top 50 animal pictures of 2011.